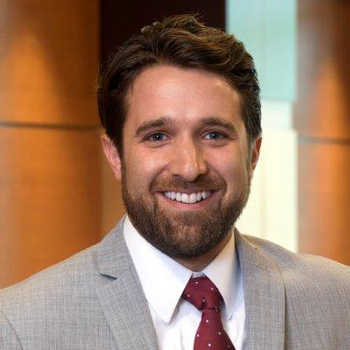 James Todd brings a fresh perspective to the M. Sue Wilson team, having worked for two years as a law clerk in Hennepin County Family Court. For James, the clerkship was where he fell in love with family law. It was also an unparalleled opportunity to see first-hand how judges make decisions about a broad range of family law issues. James’ MBA and accounting acumen provide distinctive insight into the nuances of complex financial disputes. But James balances his knack for numbers with an equal passion for stories. His goal is to understand each client’s unique story on a deep level, helping each to realize and attain their own distinct set of personal, emotional, and financial goals. A Virginia native, James earned his undergraduate degree in English Literature from William and Mary, where he won the Glenwood Clarke Fiction Prize for Creative Writing in 2006. After spending three years as an operations manager for Ferguson Enterprises, he came to Minnesota for law school at the University of St. Thomas, earning his J.D. and MBA while on the dean’s list. James is happy to stay busy in his new role as associate attorney, but when he does have free time, he can most often be found with friends and family. He enjoys cooking, drawing, and watching HBO.